Irene Bennett still helps run Bennett's Guest House in York, which she and her husband started in 1961. YORK – Irene Bennett has a lot to celebrate this summer. Her bed and breakfast, Bennett’s Guest House, marked 50 years of business, and on Thursday, Bennett celebrated her 102nd birthday. “It’s a big thing,” Bennett said. 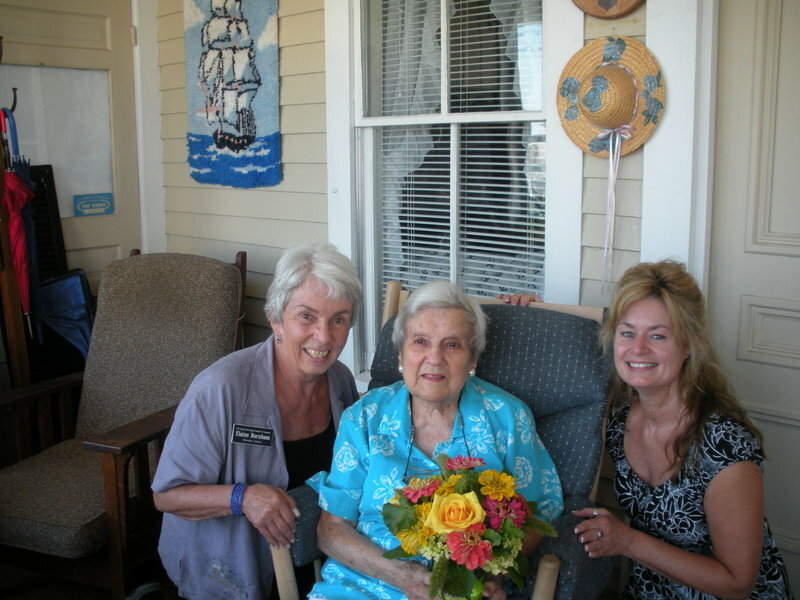 The centenarian is still very involved in operations at Bennett’s Guest House, collecting rent, helping with laundry, greeting guests and chatting with them as they enjoy the living room or porch. In 1961, Bennett was a waitress in Concord, N.H., when she overheard some customers talking about a guest house for sale in York. Dawn Hackett, who now helps manage the guest house and assists Bennett with personal needs, said Bennett took down all the information and told her husband, Robert. They bought and started renting out seven rooms in the house for nightly rates. Hackett said the couple later purchased two adjacent cottages that are now rented to guests by the week. Bennett’s daughter, Gail Schatz, said her parents ran the guest house from May to October, living in Concord the rest of the year. She said they first rented the rooms to girls working during the summers at area restaurants. “Irene was like their surrogate mother. She told them when to go out and what time to be in,” Hackett said. The rooms and cottages were later rented to vacationers, who often return to stay at Bennett’s Guest House season after season. “She’s been running it ever since,” only seeking assistance after she turned 95, Schatz said. Bennett’s Guest House has been a member of The Greater York Region Chamber of Commerce since at least 1996, said chamber Business Manager Holly Roberts. She said Bennett is the chamber’s oldest active member. Hackett described Bennett as a pleasant woman. Her daughter said the guest house has played a role in her mother’s longevity. That “family” helped her celebrate Thursday with an afternoon open house and a cookout for dinner.